A bronze statue of Basketball Hall of Fame center Shaquille O'Neal will be unveiled March 24 outside Staples Center, it was announced Tuesday. The nine-foot, 1,200-pound statue will be suspended 10 feet above the ground in Star Plaza and connected to Staples Center, according to Michael Roth of AEG, the sports and music entertainment presenter which owns the arena. The statue was created by Julie Rotblatt Amrany and Omri Amrany, who also created the statues of Kareem Abdul-Jabbar, Chick Hearn, Earvin "Magic" Johnson, Luc Robitaille and Jerry West in Star Plaza. The statue will be the eighth in Star Plaza. The others honor International Boxing Hall of Fame member Oscar De La Hoya and NHL all-time leading scorer Wayne Gretzky. The ceremony will begin at 5 p.m. and be open to the public. Admission is free. O'Neal, his teammates, colleagues and friends are scheduled to speak. 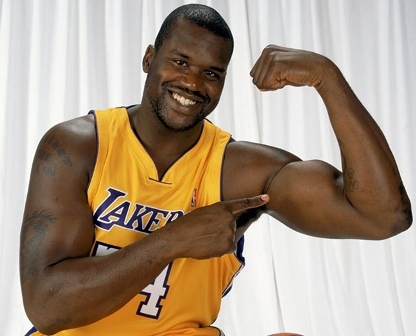 O'Neal played for the Lakers from 1996-2004, leading the team to three consecutive NBA championships from 2000-2002, winning the NBA Finals MVP award each time. O'Neal was selected for the All-Star Game seven times as a Laker and was the league's MVP for the 1999-2000 season.